Everybody’s carpets get dirty from time to time so people are always looking for the best ways to get their carpets looking new again. There are many different ways to keep your carpet clean including, vacuuming, steam cleaning, shampooing, or preventative measures. Each method requires cleaners and carpet shampoo machines of some kind. Some methods are harder to perform than others and require more work while others are less intensive. Keep in mind that the more intense methods generally work better for extremely stained or soiled carpets. This page will attempt to aid you in your quest for clean carpets and how to shampoo carpet. Your carpet shampooer choice depends on many things. First, how dirty is your carpet and over how large of an area. For example, if your carpet is covered with stains over a large area then it might be advisable to shampoo the entire area and then later go back with a targeted stain remover on the spots that were not cleaned by an overall shampoo. On the other hand, if your carpet has one or two new stains, you might be able to get away with targeted stain removers. The type of cleaner you use on the large area depends on how stained it is. Deeper stains that have been allowed to settle for longer periods might require the use of a liquid carpet shampoo. However, if the stains have not been present very long you might get away with a dry carpet shampoo powder. Another thing you need to consider is what kind of carpet shampoo machines or carpet shampoo service you have at your disposal. If you do not own your own carpet cleaning machine, then you might want to consider dry carpet shampoos that only require the use of a vacuum cleaner. Alternatively, you could look into carpet shampoo rental. There are several different machines available for rent at hardware stores or even your local grocery store like a Rug Doctor. The type of machine that you rent will dictate what kind of shampoo you need to use. Of course, there is always the option of hiring a professional carpet shampooer to do the work for you. In this case, the professionals will decide what type of cleaner will be used. You do have some say over the matter by deciding what kind of company you hire. There are carpet cleaning companies that use only green methods with little or no chemicals. These professionals will likely use a carpet steamer. On the other hand, you can choose a carpet shampoo company that uses foaming shampoos to really clean your carpet grime. One final thing to consider when choosing a carpet shampoo is whether odors are a problem. If you have pets then you probably want to find a carpet shampoo with odor neutralizers. Be careful though, some carpet cleaners will merely have a perfume in them that tries to mask odors. You want to make sure there are the appropriate chemicals to neutralize odors or kill the bacteria that causes odor. You can even use some homemade carpet shampoo to help with odors. A baking soda paste will work well to neutralize odors the same way it works in your refrigerator or freezer. Another home remedy would be peroxide. Peroxide will kill bacteria that cause odor. Be careful to test the peroxide on a small piece of your carpet that is not easily seen in case the peroxide bleaches or harms your carpet. Because of their odor killing properties, a peroxide and baking soda solution is an excellent choice for urine stains. Another home carpet shampoo remedy is club soda, which is especially helpful on red stains like red wine. In addition to homemade carpet stain removers; there are also concentrated stain removers that you can buy in the store. Like the homemade kind an advantage of these kinds of carpet cleaners is that y do not need a carpet shampoo machine of any kind. Another similarity between the store bought carpet stain removers and the homemade carpet shampoos is the fact that they work best when used immediately after the spill occurs. If you let a stain set in, it takes a lot more effort to remove it. One advantage of commercial carpet stain shampoo is that it comes in aerosol or spray bottles for easy application. Once you address stains, you need to choose a carpet shampoo to clean large areas of carpet. There are many different brands and types of carpet shampoos to choose from and the task could be a little daunting. The two major types are dry carpet shampoo and liquid carpet shampoo. There are pros and cons to both and methods of use that are important. However, the consensus among carpet experts is that it is better to use dry foams like Kirby carpet shampoo and other dry carpet shampoos rather than liquid ones that are activated by hot water. The reason for this is that introducing water into your carpet and the pad underneath invites mold, mildew, and other problems that can be avoided with the use of dry carpet cleaner. Dry carpet cleaners come in one of two varieties including dry powders and dry foams. Both of these methods require the use of a vacuum cleaner. With the dry powders, you sprinkle the powder over a large area of carpet, perhaps five feet by ten feet. The powders are magnetized so that the dirt in the carpet is attracted to the carpet cleaning powder. You let the carpet cleaning aid sit for ten to twenty minutes and then vacuum it up. Theoretically, the dirt in your carpet should be vacuumed up with the cleaner. Some advantages of this type of cleaner are that you can clean large areas quickly. You can finish working on a fifty square foot area in less than thirty minutes, where a carpet shampooer would need much more time to go back and forth over that square footage and then many more hours to dry. Another advantage is that the dry powders also come with deodorizers or perfumes added. This can help with pet smells or other offending odors in your carpet. However, this can also be a disadvantage because sometimes the perfumes just mask the odors and do nothing to eradicate them. Another possible disadvantage is that they are not as effective as liquid carpet shampoos. It is hard to get out set in grime or stains with this method. It works best for loose dirt that has worked its way down into the carpet. Dry foams are slightly different from dry powders, but they operate under the same basic procedure. The dry foam carpet shampoos are sprayed onto a large area and dry into a powder that you vacuum up. The difference is in how they attract or trap the dirt. Powder use magnetism while foams use encapsulation. When you spray the wet foam onto the carpet, it encapsulates dirt particles to suspend them in the foam. Then, as the foam dries into a crystal, the dirt is trapped and can be easily vacuumed away. This carpet shampooing method is one of the best carpet shampoo options for loop carpets like Berber. 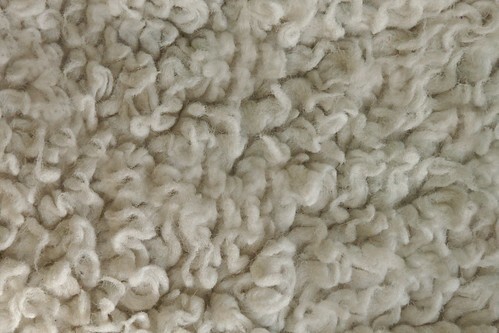 The second type of carpet shampoo is a liquid carpet shampoo with foaming action. These types of carpet shampoos work in conjunction with a carpet shampoo machine. You can purchase these machines or you rent. If you do not often use carpet shampoo, rent is probably the better choice because these machines can be expensive and they take up a good deal of storage space. The main reason you use a liquid carpet shampoo is the foaming action. The foam helps to scrub your carpets and gets a lot of the dirt out. Nevertheless, you need to prepare your carpet shampoo solution properly to make sure that there is not excess foaming, which could actually be a problem. First, you should pre-treat any tough stains with a solution of one ounce of carpet shampoo and five ounces of water. You can mix this solution in a spray bottle and then spray the affected areas of your carpet. Let the stains sit with the shampoo on them for several minutes and then blot the stains. Blotting is preferred to scrubbing since you do not want to make the stain migrate to additional areas of the carpet. Once the pre-treating is done, you need to prepare the carpet shampoo solution for the carpet shampooer. As I said before, you do not want too much foam so there are a few things you can do to prevent that. First, fill the reservoir on the carpet shampoo machine with very hot water and then add the shampoo to it; rather than measuring your carpet shampoo into a bucket and then adding water. Adding water to the shampoo will make suds, but adding the shampoo to the water will not. Second, you can use less shampoo than the instructions suggest. Some people recommend that you use as little as one-third what the instructions say. A third thing you can do is add defoamers to the carpet shampoo solution. Some machines even have special defoamer dispensers. One problem that some people notice with liquid carpet shampoos is that the carpet actually looks dirtier after you shampoo it than before. This phenomenon is caused by excess soap left in the carpet. Soap residue is sticky and it attracts dirt, so if some extra soap is left behind after you use a carpet shampoo machine, then the dirt will migrate toward it and then move toward the top of the carpet causing things to look worse. One solution for this problem is to rinse your carpets thoroughly after you shampoo. You should fill your carpet shampoo machine reservoir with cold water and run over the entire carpet until you stop noticing soapy water in the discharge. Cold water is better than hot because cold water attracts soap better. Once you have shampooed and rinsed your carpet you need to leave adequate time to let the carpet dry. Some carpet shampooing instructions say to wait up to twenty-four hours for the carpet to dry. However, if you have used the appropriate amount of water, then they should dry in four to six hours. If your carpets are still wet after twenty-four hours then you need to run over them with a powerful wet vacuum to remove excess water. Too much water left behind can cause mold and mildew problems. Mold is a fungus that causes an allergic reaction in many. Some people think they are suffering from a perpetual cold, but they are actually exposed to mold. Symptoms include coughing, wheezing, headaches, and other cold like symptoms. If you have a problem with allergies then you might want to avoid the use of wet carpet shampoos altogether. If you decide to use a wet carpet shampoo, then there are many brands to choose from and each brand has its own special characteristics. Some popular brands are Kirby, Electrolux, Bissell, and Hoover. Each of these companies also makes the carpet cleaning machines. One popular Bissell carpet shampoo is called 2X Ultra Concentrated Formula. This carpet shampoo’s main benefit is that you only have to use half the amount of shampoo during each use as you normally would. Because of this, the cleaner comes in a smaller bottle, which uses less plastic and as a result is better for the environment. Smaller bottles are not the only thing that makes eco-friendly carpet shampoos. Some carpet cleaners have less anionic surfactants in them. Some studies say that the surfactants, which give the shampoo its foaming capabilities, are bad for the environment. There are carpet shampoos that have less surfactant for this reason. Hoover makes a good product called Platinum Collection Carpet & Upholstery Shampoo. This product is meant for use in high traffic areas and works extremely well on tough stains like grease, oil, coffee, and wine. Hoover also makes a pet formula advertised to have odor fighting enzymes. Carpet shampoos can have many added ingredients. Some have water softeners in them, which are good for lubrication. You need lubrication to prevent tangling of the carpet fibers in some of the longer carpets. Other shampoos have allergens in them that are meant to kill dust mites, which will help people with indoor allergies. Sometimes, the things added to carpet shampoos are not beneficial. For example, some scented varieties of carpet cleaner might mix with odors that already exist in the carpet in an unpleasant way. One group of controversial shampoo ingredients is optical brighteners. These chemicals are essentially dyes that cause ultraviolet light to become visible to the naked eye. The result is a short lived brightening effect. The carpet looks shortly brighter and cleaner. The initial result is fantastic, but over time and prolonged use, the optical brighteners can turn your carpet yellow. Once you have chosen your shampoo, you will need to pick a machine. There are several things to consider when choosing your carpet shampooer. First, look for machines that have many attachments and extra hoses so that you can easily clean upholstery or hard to reach corners of carpeted floor space. Another thing to look out for is that you machine is a standalone model that does not need to be hooked up to a sink. Having to be near a sink or hose outlet, will severely limit your ability to clean many rooms in your home. You will need to make a choice between rotating brush heads and fixed brush heads. The rotating heads generally do a better job with cleaning, but the fixed brushes are much gentler on delicate fabrics and carpet fibers. Another decision that will cause you to weigh your options is the width of the machine. A wider machine will enable you to clean a larger area in a shorter amount of time. However, they are much harder to maneuver than a less wide machine. Some machines will clean hardwood and tile floors as well so if you are considering buying a machine then you might want to look at one of those. If, however, you are not interested in cleaning your own carpets and floors, then you might want to hire a service. Stanley Steamer is a very popular carpet shampooing company and they have franchise almost everywhere. Please keep in mind that carpet shampooing can be avoided if you take proper care of your carpets in the first place. The first thing you need to do when trying to get your carpets clean is practice some preventative measures. For example, you can institute a no shoes policy. Put up a sign on your front door or any other entrance into your home that asks guests to remove their shoes. People usually do not mind adhering to your request. The only problem you might run into is with repair technicians or delivery people. It may seem hard at first, but after a few days of your family removing their footwear, it should become habit. The next carpet cleaning measure that you can take is vacuuming. Most people think that it is acceptable to vacuum only once a week. However, it is actually better to vacuum at least twice a week. If you vacuum up the surface dirt often, it does not have time to settle down into the carpet fibers and pad. The longer you go in between vacuuming, the more opportunity the dirt and grime has to work its way deep into the carpet where a vacuum cannot touch it. Even the most powerful vacuum cannot remove dirt that has adhered to the deepest part of the carpet fibers. Some experiments have been done that say that vacuuming twice a week, versus once a week, can double the lifetime of your carpet. Nevertheless, if taking precautions and vacuuming do not do the trick or if you are lax with these measures then you might have to think about carpet shampooing. One special variety of carpet shampoo is auto carpet shampoo. The carpets in your car get dirty just like the carpets in your house. You might have an even more difficult time with the car because you cannot take off your shoes in the car. Car carpet shampoo is generally very foamy because you only use the foam when cleaning your car carpets. You want to keep the water used to an absolute minimum. You take the foam, scrub it into the carpets with a stiff tire brush, and then vacuum away the foam and any dirt that was loosened. You can purchase car carpet shampoos in car detailing stores and car parts stores.